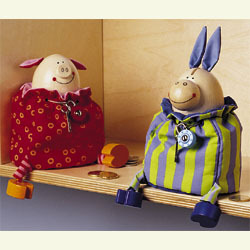 HABAs wooden and cloth toys are known for their exceptional quality and unique design. All HABA wooden toys are made from maple or beech wood and colorful finishes are non-toxic, water based lacquers. HABAs innovative design makes HABA toys of lasting value.